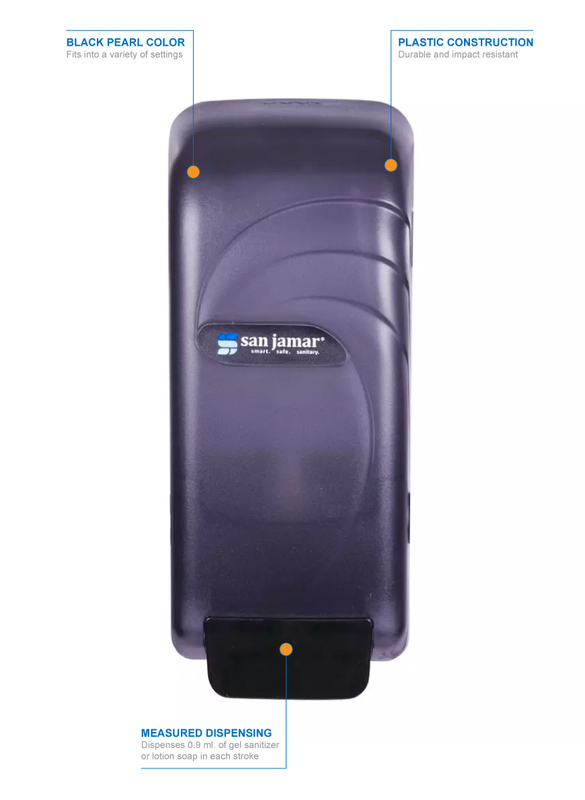 The San Jamar S890TBK Oceans® soap and sanitizer dispenser is made of an impact-resistant plastic that can withstand high-volume use. 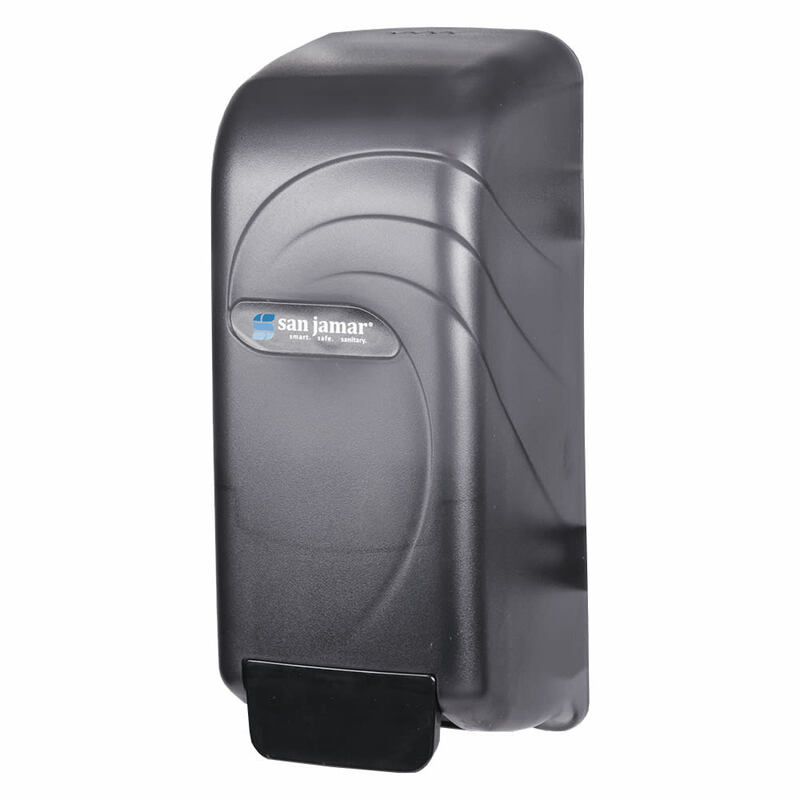 It dispenses 0.9-milliliter portions of lotion soap and gel hand sanitizer. 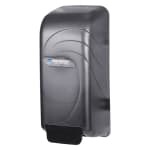 When used for hand sanitizer, a sticker can be added to the black pearl dispenser for identification purposes. "I wished the dispenser could have some type of graduation to draw more soap, although I understand is intended to save soap. Or else an option fo..."
"I wished the dispenser could have some type of graduation to draw more soap, although I understand is intended to save soap. Or else an option for a larger drawing tip to the outlet. Otherwise, I like the design and does the job."